So the name of the post is rather self-explanatory. 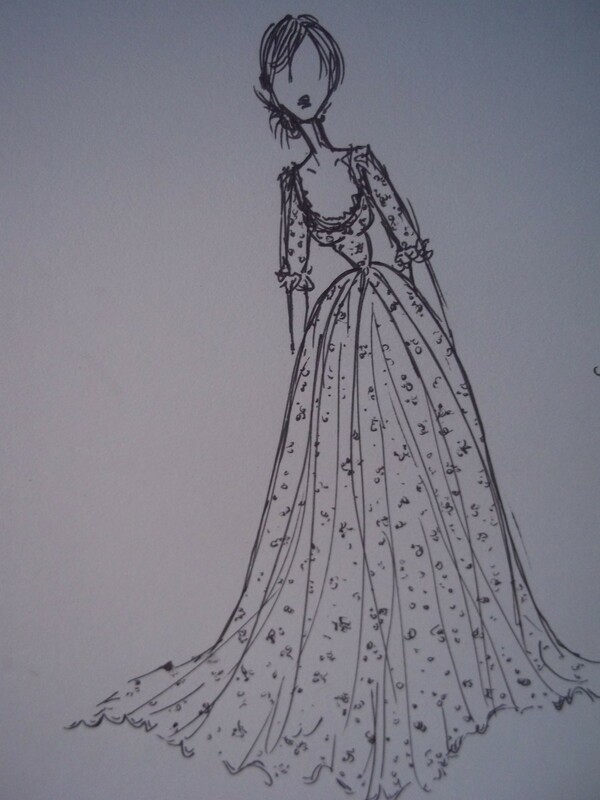 Here’s what I basically saw Evy’s gown as (the one she wears when she goes to warn Leopold of the assassination). The image got a little squashed and of course my drawings are never really proportionate, but oh well.